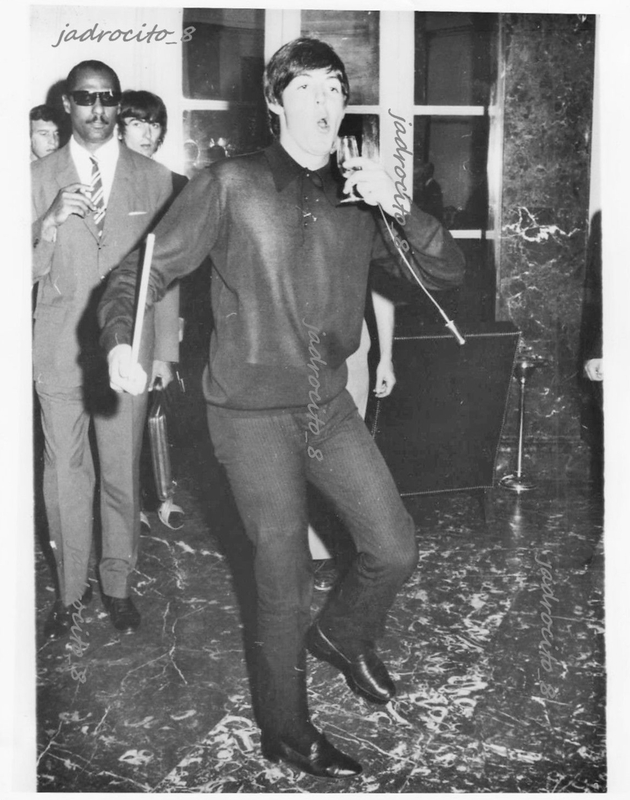 This photo was taken July 5, 1965 in Madrid Spain when the Beatles were guests of the mayor, who had a party in their honor. 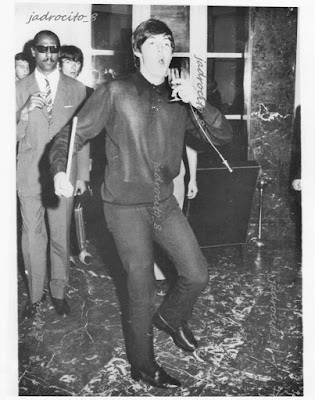 According to the caption of the photo, Paul is here pretending like he is a drunk man. Pretending? No one will know for sure! The date is wrong. On July 5, 1965 the Beatles were in London. It must be July 2.